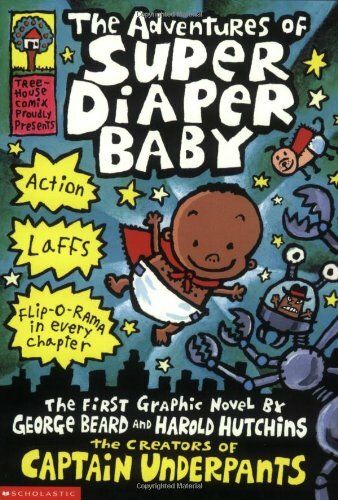 Meet Super Diaper Baby - the most powerful peewee to every pack a punch. George and Harold's brand-new superhero is sure to make kids laugh until soda comes out their noses! Found it at the Aquarium on March 25th. Brought it back with us to Chambly, Qc to read and pass along. Love the idea of the traveling book!